We want students to exhibit their talents and develop their passions at every opportunity. Our academic activities cater to a wide range of abilities and interests, empowering students with the confidence to try everything the Emmaus journey has to offer. 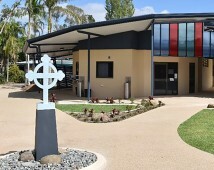 Students are given opportunities to enter local, state and national competitions across a number of subject areas. 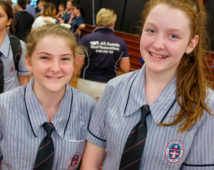 Emmaus also competes annually in the Secondary Schools Quiz run by the North Rockhampton Rotary Club. Emmaus has enjoyed some excellent results in all these competitions. Chess is a challenging and rewarding pursuit. Students have the opportunity to play in school challenges, as well as compete in interschool competitions. Debating is a valued activity that grows confidence and encourages awareness of current affairs in a team event. 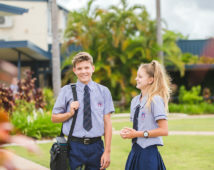 Students compete at both Junior and Senior level in the local interschool competition. 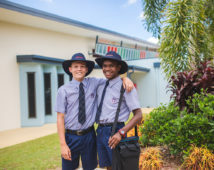 Emmaus encourages students to enter in a variety of speaking competitions such as Rostrum Voice of Youth, Apex Public Speaking Competition, Plain English Speaking Competition and Lions Youth of Australia.